Ready to start eliminating waste in sales and marketing? Once you’ve identified high-level business goals to improve efficiency, we recommend doing a Value Stream Map. Cycle time – how much time it takes a person to complete a task. Duplication – what kinds of work/tasks are being re-done and could therefore be eliminated. Accuracy – how often a task is completed 100% correctly the first time. Before you can eliminate waste, it’s important to clearly understand how your company currently operates. By creating a Current State Map, your team can visualize how processes are actually being performed. It’s a critical point of departure – before improvements can be measured, the current way must be understood fully. This is the fun part – set your team free to think about how they would like to operate – free of the constraints of the systems/processes you have in place today. It’s important to set a time horizon on the future state – for example, 1 year or 3 years from now. This goal helps drive the improvement plan. Once you’ve identified your Future State clearly, it’s important to build a management-supported plan to eliminate waste in sales/marketing. We recommend going after the “low-hanging fruit” – processes that are currently wasteful and could be eliminated or automated. Flywheel is a tool that is often used to grab low hanging fruit and automate it – often times right out of the box. If you’d like to do your own value stream map, there are great resources online like this one that can guide you through the process. For many manufacturers, working with your local MEP (here in South Dakota we recommend Manufacturing Technology Solutions) to build the map with your team. There’s a lot of value in bringing someone in who has experience with the process to help guide your conversation. Ready to start eliminating waste? We offer a complimentary Lean Sales & Marketing Consultation to help start the conversation. Click below to schedule a time! 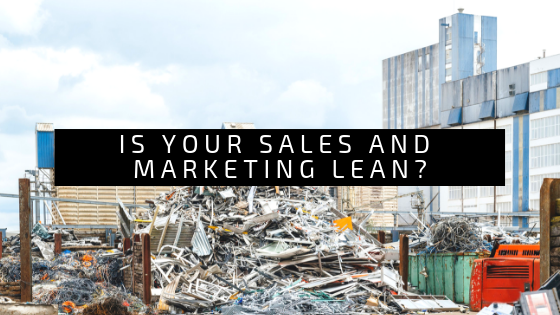 Lean can help eliminate wasteful sales & marketing spending. Lean Manufacturing is a trusted and widespread methodology for eliminating waste in manufacturing. In fact, nearly 70% of manufacturers use Lean practices. However, if you’re like most manufacturers, Lean concepts get applied to production, but not to sales and marketing. Why is this? 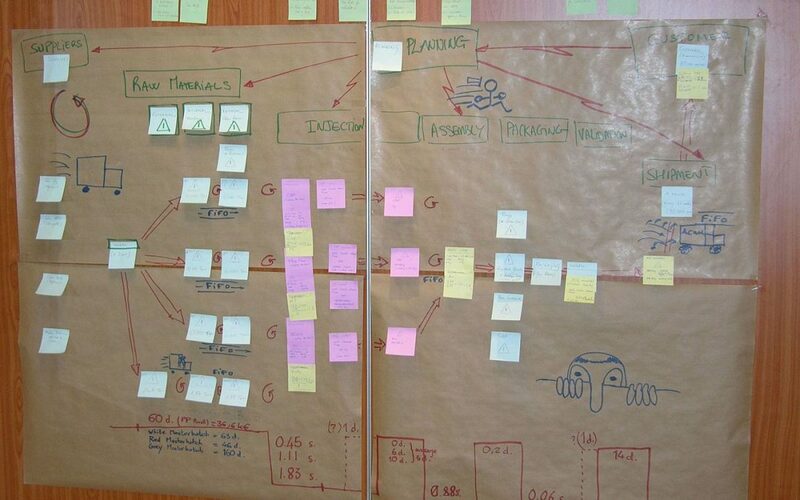 It’s tough to apply Lean to customer interactions without good tools and a clear methodology. The good news is things are getting much easier and eliminating waste in sales/marketing is within reach of any manufacturer. 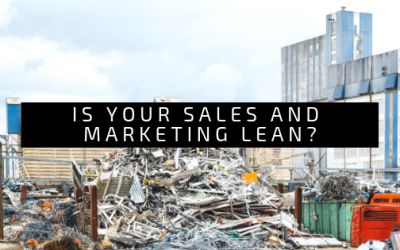 What are the 8 Wastes of Lean Sales & Marketing? Any time you interact with a customer with the wrong information, you are creating a defect. Whether that is a proposal with the wrong product in it due to unclear needs assessment or not delivering a message tailored to the person you’re communicating with. Every time communication defects occur, you’re leaving trust, dollars, and a strong relationship behind. With customer communication, more is not better. If you can collect everything you need to serve a customer well in one short needs assessment meeting and deliver a quote quickly, you’ve done well. Anytime you re-engage the customer to gather more information or clarify needs, you’ve added production time and waste. Another form of waste here is trying to close a sale before the right information has been confirmed. Customers don’t commit to purchases or agreements unless they have everything they need to make the decision. Effective sales and marketing initiatives operate at-the-ready and deliver information quickly and on committed timelines. Waiting for answers internally from design, production, or inventory kills momentum and slows down deals. In addition, you should be able to “act as one” with clear lines of communication and customer information storage so you can get answers right away with no waiting. This could also be titled “under-utilized talent”. Sales and marketing folks should be able to focus nearly all of their time on serving customers, not running internal manual processes, digging for information, or creating proposals. Creating simple processes that keep sales and marketing folks in front of customers and out of administrative functions is key to eliminating waste – no one wants to be in sale or marketing to do non-selling activities. Digging through email, remembering to make calls and follow up on tasks, editing word/excel documents, and creating lead follow up spreadsheets can be a thing of the past. Good CRM and marketing software like Flywheel can eliminate transportation overhead and keep you focused on deals. Good Lean processes and systems in Production should make delivery timeline promises solid, inventory on hand reliable, and lead times reasonable. However, sales and marketing should hold the same standards – quote delivery should be kept to a minimum size queue with clear timelines to give customers quotes. Costs and margins should be transparent to salespeople so they can make good decisions at the time of need on pricing. Lastly, it’s important that good “Control Tower” principles are applied to sales/marketing so folks get answers quickly. Modern software can help you get more done with fewer people. 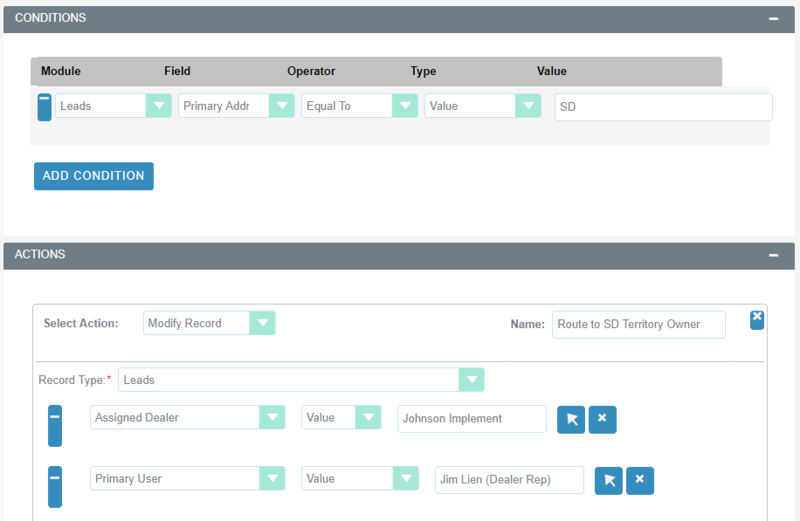 For things, you can’t automate, eliminate as much duplication as you can using Value Stream Mapping. You can reduce cost and improve delivery by speeding up motion – often small adjustments in flow can have a big impact. Many sales teams use many different tools to do their job – email, text messages, proposal tools, inventory management software, and many other systems. The best way to eliminate waste here is to buy systems that connect to each other or connect the systems you have. 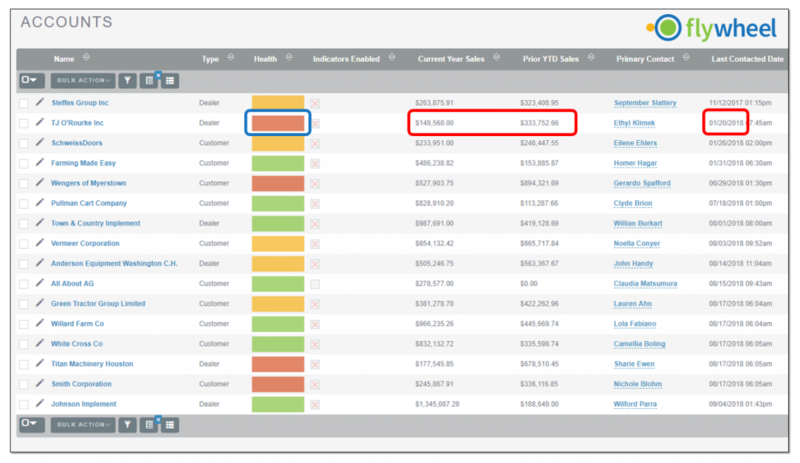 Sales and marketing should not have to dual-enter information or deal with spreadsheets. Data re-entry cause time loss and errors. In fact, according to Harvard, bad data costs US businesses $3 trillion per year. Ouch. Not only is it a drag to ask your team to enter things twice or more, but it’s also probably costing you a lot of money. 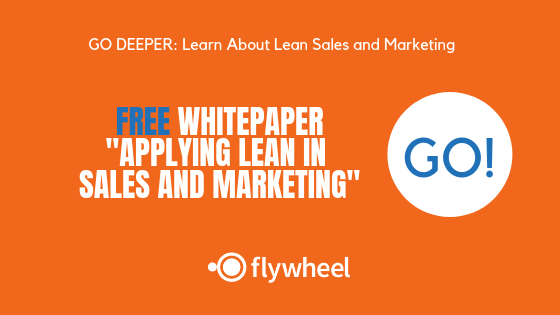 Flywheel offers a complimentary Lean Sales & Marketing Consultation to find out if we can eliminate waste with our sales & marketing platform. Contact us to set up a time – we can cover the high-level overview in 60 minutes with you. Click below to book a time! Dropped our new “Followers” feature set to make it easier for teams to collaborate. Rolled out Dealer Lead Collaboration in our our Mobile App. Improved usability for key things you use every day – searching, filtering etc. Automated lead routing. No one wants to spend time doing this manually anymore. It’s 2018. Added a Quickbooks connector – get up and running on Flywheel in a few days! Thanks to all of our customers for their helpful input! If you’re a current customer, your instance will be upgraded automatically tomorrow or Monday. If you’re interested in Flywheel, we’d love to give you a tour of the new product. Tired of the same bland lists? 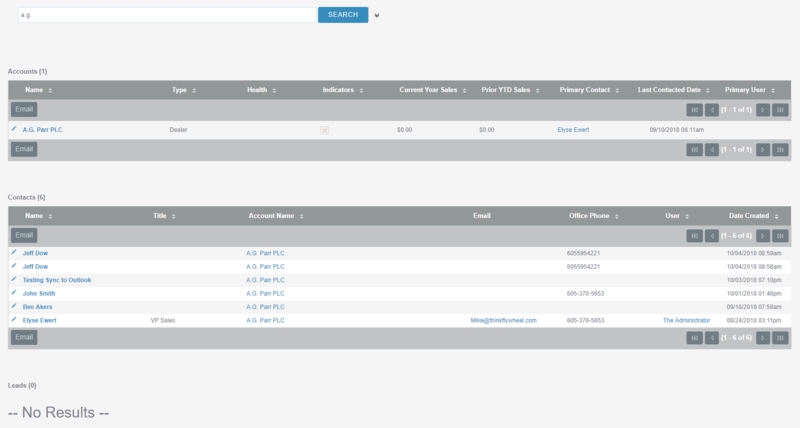 That’s why we added color to the Account list view to see customer health and when your last contact was. Push notifications on Flywheel Mobile on health, no activity, quotes expiring and other changes. We also added the ability to mass-follow Accounts for you or someone else. Followers can be used in Workflow and Reports. Managing leads from your phone was a start. 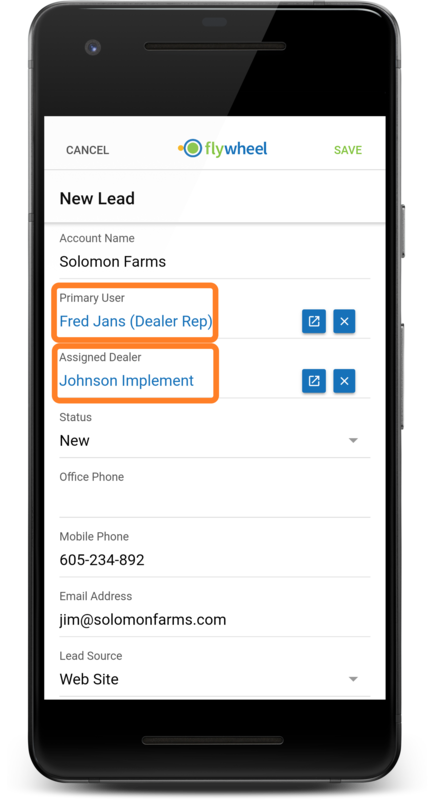 We’ve now added the ability to assign Leads to Dealers & Dealer Reps right from your phone, something that is super helpful for mobile sales road warriors. 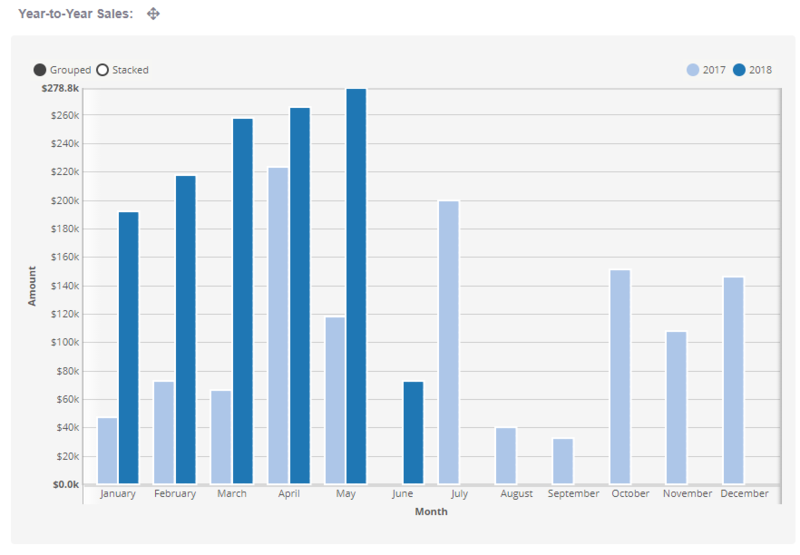 At a customer/dealer level, visually see how monthly sales are trending this year vs. last year. It can be helpful to see seasonality and trends visually – something that’s hard to see in raw numbers. No more scrolling to find Accounts, Contacts & Leads. We improved the Web search screen to make it easier to quickly find what you are looking for. 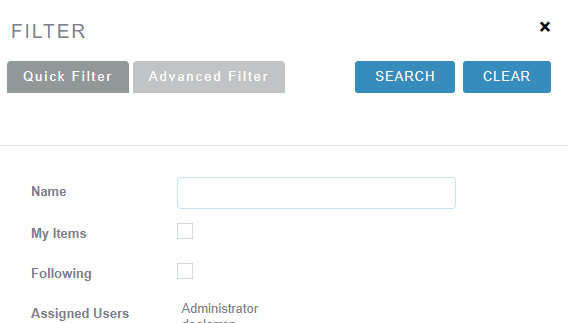 Spend less time looking for the fields you want to filter on with our new Filter layout. In addition, we made the “Search” button sticky – no more scrolling for it. Flywheel 3.0 gives you the ability to auto-route leads from your website to internal and dealer reps.
Our robust workflow engine gives you control of how/when leads are distributed. Flywheel now includes a Quickbooks connector that gets you up and running on Flywheel in just a few days! During this Year’s 2018 SD Manufacturer’s Summit, I had the privilege of delivering a presentation on Artificial Intelligence. Since my session was video-heavy, I thought I’d provide links to the videos I used and some background on them. For those who haven’t attended, I highly recommend the summit. Click here for a full list of this year’s sessions & topics. The annual summit is organized by the fine folks at SD Manufacturing Tech Solutions. AI, or Artificial Intelligence is “a branch of computer science dealing with the simulation of intelligent behavior in computers“. In simple language, that means computers that can learn from experiences and provide insightful feedback. Many of us use AI and never know it – every time you ask your phone a question, you’re using AI. Frankly this robot creeps me out – I don’t think I will ever be up for letting a robot nurse take care of me in the hospital! Examples like this are pretty far-out and unlikely to see real use in manufacturing anytime soon. However, AI will become an increasing part of sales in manufacturing. Below I’ve included 4 examples of AI in practice today. Artificial Intelligence isn’t just for futurists looking at creating physical robots. It can also be used in very practical ways to help sales teams do more. Below I’ve included four examples of AI in use today. There are countless other uses for AI, but these examples are applicable to manufacturing today. Will AI bots take over the world? We’ve been getting a lot of demo requests for our brand spanking new mobile app, but we’ve been keeping it under wraps. We’ve designed a clean home screen that gives you access to notifications, a quick list of customers/leads, and a sales map. No more clicking a bunch of times to get the obvious things. In the past, if you were mobile it was tough to keep track of what you need to do to make a difference each day. Flywheel Mobile uses push notifications to let you know when you need to call a customer. No more digging through the CRM to figure it out. Fast access to customer dashboards. We added a direct link to the customer health dashboard. 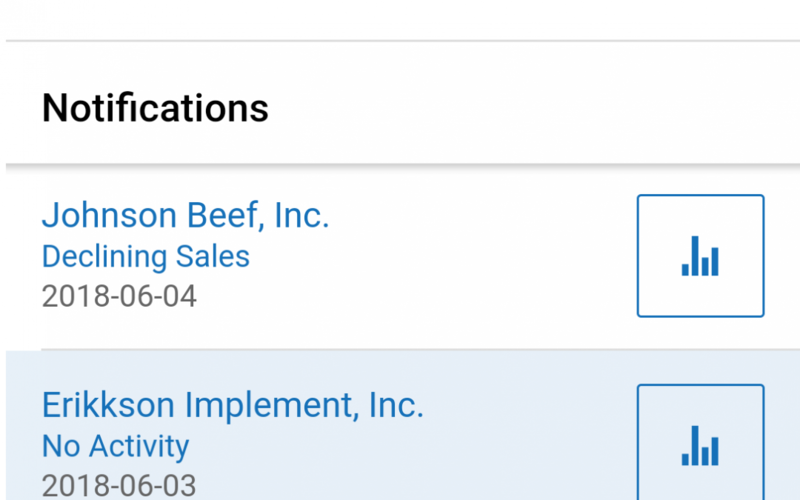 With one tap you can see activity history, sales forecasting information, and prior order history from your phone or tablet. Flywheel Mobile has the ability to show dashboard charts full screen and do some filtering on the fly. Yep, that’s right, we are killing call logging drudgery. On our Android app, both incoming and outgoing calls get automatically logged against CRM contacts (it won’t copy personal calls into CRM, unless you enter your Grandma in CRM as a contact). In iOS, all outgoing calls launched from Flywheel are logged. Sadly Apple doesn’t allow apps to automatically log incoming calls. Boo. We’ve asked them to change their tune, we’ll keep you updated. You bet. We’re giving Flywheel Mobile to beta customers, and we’d be happy to show you a demo. Drop us a line to learn more.